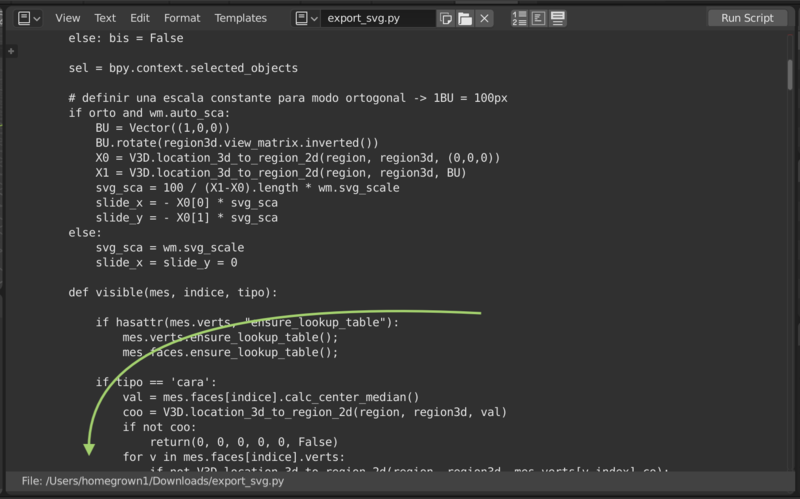 Currently, the Text Editor includes a file path in the header. This has the problem that it pushes the rest of the buttons off screen. I think the best solution would be to place the file path at the bottom of the Text Editor in a footer bar, which can be enabled or disabled by the user. This will make it so the file path doesn’t go off screen, and it won’t push header items away. William Reynish (billreynish) triaged this task as Normal priority. William Reynish (billreynish) mentioned this in T56950: UI Paper Cuts (Parent Task). Coulnd't we remove the file path? Or do something like we have for images? @Campbell Barton (campbellbarton): You mean put it in the Sidebar? Yes, that would be ok too I think. Please, having the file path visible on the screen is important. If it's not possible to have it at bottom then just move it on the right side of the Run Script button. Having it in the sidebar is not ideal, because you're basically hiding something very important. If the tile path is really important, you could then see it in the Sidebar. The name is visible in the ID block anyway. How can I even comfortably see a very long file path in the sidebar? Opening the sidebar/resizing just to see the full file path is just too much work imo. I'd prefer no change at all, than putting it on the sidebar. That's why the initial task was to add a bar at the bottom with the path. This bar could be toggled on & off in the view menu. The current situation is not acceptable, because the button is moved out of view. I'm trying to fix this paper cut, I added a tools region and used as a header so it can move to top if needed. I'm not sure where I should start looking for this. Hoping I'm on the correct path... any directions from here? @George Vogiatzis (Gvgeo): I think what you need to do is to add a new region. 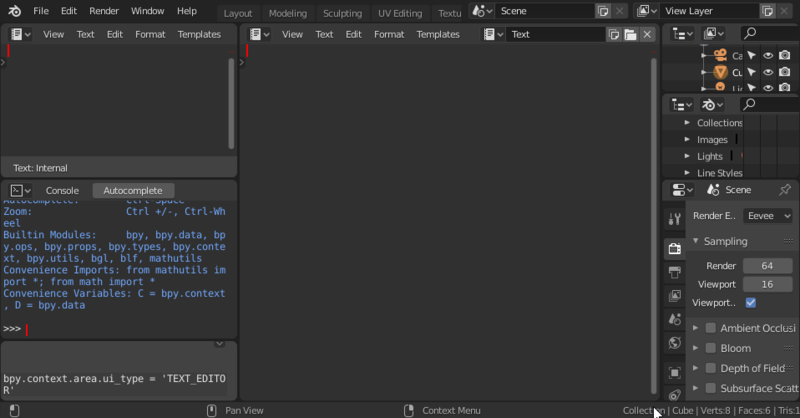 One reference example would be the left tabs region in the Properties Editor. Perhaps you can use this as a reference for adding editor regions. @Julian Eisel (Severin) You are the region making expert - any tips you are willing to share? It's a region(based on header) that already works an all areas doing nothing, except text space.